In our first article entitled “Deaf learner, Paul beats all odds to be awarded a scholarship” on 11th October 2016, we mentioned that; “You may not know of Paul Ntulila, but in the deaf community his name is one that will go down in history”. Well since then things have developed for Paul. We have asked Paul to write a second article to share with you about his journey to become a Post- graduate. As you may have read before, he has led deaf awareness training events, delivered motivational sessions to business professionals and he has also appeared on BBC’s See Hear documentary as part of Black History Month where he shared his experience of being in both deaf and black community. Paul is Loughborough University London’s first deaf student on their Post-graduate MSc Diplomacy, Statecraft and Foreign Policy course. He graduated on 12th December 2018 with a Distinction. Paul feels blessed to have been the first deaf graduate at Loughborough University London’s Post-graduate course. He is proud of being part of their history which will influence many deaf and disabled people around the world to feel inspired to break barriers they may encounter on their life’s journey. When I first arrived I was out of my comfort zone. I had never experienced this situation before. At my secondary school and undergraduate University, I was in an environment of deaf and hearing students. Now this was a new experience, I was the only deaf person. I did not allow myself to be intimidated by the sea of hearing students. I realised I was the only deaf person who had applied to be on the course, but I was encouraged by staff, and my family also had confidence in me and encouraged me to complete the course. What did I do? I reflected on the situation and conducted a self-evaluation and I just went ahead and was me! I proceeded to do what I do best, talk to people, make friends and build relationships. Some accepted me and some ignored me but now being here, I was determined to do my best. I was determined to show ‘that deaf can! ’Thank God for BSL Interpreters. 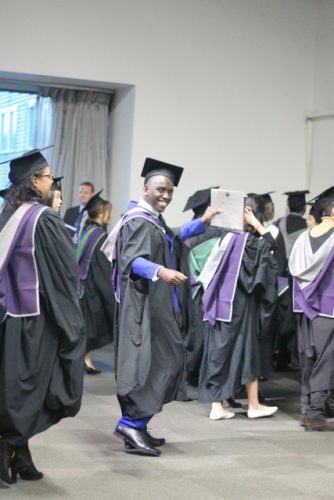 My experience at Loughborough University London, was second to none. Their Inclusion Policy should be copied and adhered to by other Universities and Education Institutions; they did not complain about costs, but their focus was to ensure that I was truly included in every aspect of University life. This meant that I always had access to an interpreter to facilitate communication to flow between myself, deaf, and hearing students, faculty staff and other University staff. Being their first deaf student meant that they had a steep learning curve to negotiate; so there were times when mistakes were made, but changes were implemented very quickly to resolve the situation and lessons were learned. I didn’t have to worry about how I would be able to cope with my studies or communicate with Lecturers, students or other members of staff on Campus; I was able to fully focus my time and energy on my studies. As an Ambassador of the Snowdon Trust, I am delighted to share with you that the government have announced this year that the Disabled Student’s Allowance (DSA) for postgraduates will be increased from £10,993 to £20,000 in 2019/20. I have managed to influence and negotiate with Greg Bone, Head of DSA Policy, that the DSA should be the same or close to that of the Undergraduate allowance, this will give opportunity to students to get more support. What is Paul doing next? 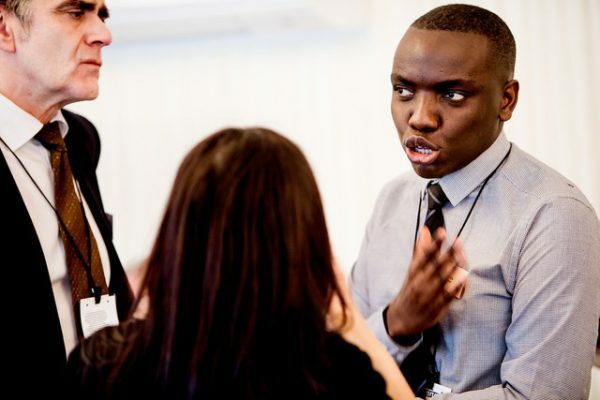 Two days later, after graduation, Paul was appointed as the new Assistant Project Manager of the Global Disability Hub, an innovative project hosted by University College London (UCL) and launched as part of the London 2012 legacy. What advice does Paul want to give you? Be willing to work for success because success will not drop on your lap! Believe in yourself first, because anything is possible. Don’t just accept things as they were or even as they are. Be confident to challenge things and situations, not in anger but with diplomacy, bringing them into the 21st Century. “Deaf people can do anything, except hear” – King Jordan (Former President of Gallaudet University).